Whether it's doing better in school or developing critical thinking skills, preparing kids to excel in the 21st century is essential. Creativity Express software is a tool for kids that encourages them to unlock their inner creativity, develop a passion for learning and achieve a new understanding of the visual world around them. Geared for both boys and girls 7 and up, this dynamic product contains sixteen interactive modules that teach the principles of art, and the creative tools of the world's master artists. 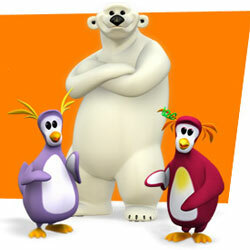 Hilarious animated characters lead the way on adventures that help kids explore creativity, problem solving and imagination. Featuring hours of challenging activities and both traditional and digital art projects, the interactive product experience will activate whole brain thinking. Kids will love the Idea Gizmo which jumpstarts their creativity with hundreds of ideas such as making a comic book, building a time capsule, designing business cards and making funny masks. It's a "call to action" for children to embrace and celebrate their own creative voice. 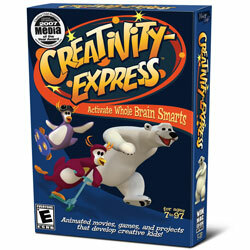 Published by Madcap Logic LLC (formerly GeeGuides LLC), Creativity Express was developed by highly regarded artists in the film and entertainment industry. Partnering with leading educators, including the Institute for Learning Innovation, Madcap Logic created a truly unique and comprehensive program. "Our vision is to create a new generation of creative thinkers," says Randy Parker, Founding Partner, Madcap Logic. ToyDirectory Special: Mention the code CETDLTS and receive 5% off on orders of 60 boxes of Creativity Express or more.